When she was a young girl, Beatrix spent many summers at this home in Scotland—known as Dalguise House—which her father rented. It was while living in this home that the young artist fell in love with nature, became a budding naturalist and began to draw what she observed. Although Beatrix’s father was a Lincoln’s Inn barrister, qualified to argue cases in court, he did not need professional income to provide for his family. Indeed, Rupert Potter rarely worked as a lawyer even though he maintained chambers, for thirty years, in New Square. He did enjoy photography, then a new art form. Thanks to his many pictures, we have some record of Beatrix’s early life. When she was five, Beatrix and her parents spent the summer in Scotland. Wealthy Victorian families were able to lease beautiful homes in the Scottish countryside. The Potters traveled to Perthshire, where Rupert had leased Dalguise House. Near the town of Dunkeld, it overlooks the Tay. It was in these surroundings, which Beatrix was to enjoy every summer until she was fifteen, that the young - and lonely - girl fell in love with nature. Able to explore the area’s beauty, she studied - and drew - what she observed. Now a budding naturalist, Beatrix had a keen eye for detail. Rupert encouraged his daughter, although he never expected her to work for a living. Her drawings of caterpillars - made when she was eight - still survive. 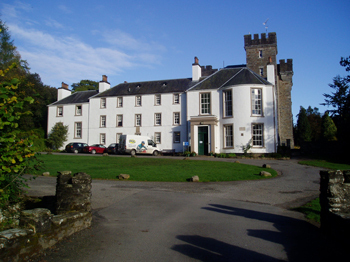 In 1892, the Potters were no longer able to rent Dalguise House. Instead, Mr. Potter arranged for his family to spend the summer at Heath Park, in Birnam. The following year, they rented Eastwood, in Dunkeld, where Beatrix composed her picture-letter for Noel Moore. Before she created stories for her young friends, were there any artists (or other individuals) who had particularly influenced Beatrix? What did she learn from them? Beyond illustrating what she saw, how did this young woman invent characters? Bos, Carole "SUMMERS in SCOTLAND" AwesomeStories.com. Dec 01, 2006. Apr 25, 2019.